Have you changed your accessories recently? At least once a week we get a call from a nebuliser user or their carers panicking because their unit isn’t working. Your first priority should always be to check your spares and accessories. How often should accessories be changed? Unfortunately there is no blanket rule, each manufacturer has their own recommendations but there are a few questions to ask yourself. How often do I nebulise? Common sense tells you that if you nebulise several times a day, all year round, you need to be particularly conscientious. Just how long you have been using that chamber? Time flies and somethings can get missed. Which medication am I using? 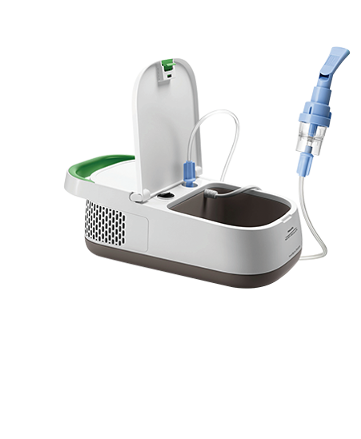 Some medications are stickier or thicker than others which means extra care has to be taken to ensure all accessories are free from residual medication which may block the jet holes causing the unit to nebulise less efficiently or not at all. Am I using reusable medication chambers or disposable ones? These disposable spares must be washed after every use but never boiled and should be changed every 4-8 weeks. Don't forget to replace the baffle when reassembling any of these medication chambers. What should I do with masks, mouthpieces, filters and air tubes? Masks and Mouthpieces also need to be washed and rinsed regularly but Drive lines and Air tubes are better kept dry. Filters should always be checked regularly to ensure they are clean and dry, some should be changed as often as every 3 months. If filters become blocked your nebuliser won’t function efficiently. 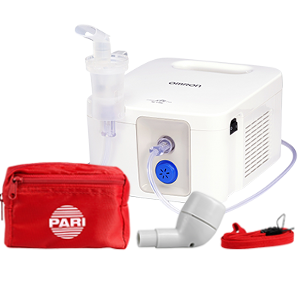 What do I do with a mesh-type nebuliser? The Philips InnoSpire Go and Omron MicroAir have a cleaning regime all of their own. Extra care needs to be taken to protect the delicate mesh technology. Mesh caps should be washed in warm soapy water, rinsed to remove soap residue and left to air dry on a lint free cloth. You should never touch the mesh cap directly with your fingers or any implements such as a cotton swab. To reduce the risk of infection the mesh for these units should also be disinfected. This can be done by several methods such as boiling or soaking using either alcohol, commercially available disinfectant such as some dental tablets, or a solution of white vinegar. Not each solution is suitable for all the items listed so please check your manual. For those of you who suffer from recurrent, frequent infections your heath professional may recommend a different regime. If you have been advised to change your accessories more often it may be more economical to choose a nebuliser with those that are disposable. As always we are here to help so please feel free to contact us if you have any worries or concerns with regards choosing the most suitable unit or caring for it afterwards.